I swear to you, I tried to figure out a way to leave my wedding with a helicopter umbrella. I was going to say "This bird's gotta fly, hwahh!" But alas, I'm not an inventor. Another great conceptual piece, Chris. 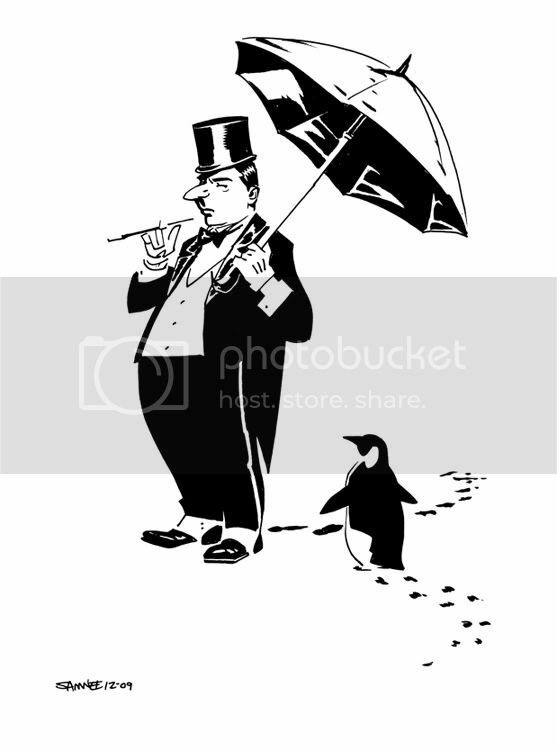 The footprints are a really nice touch, and the unaffected air that your Penguin exudes is apropos.